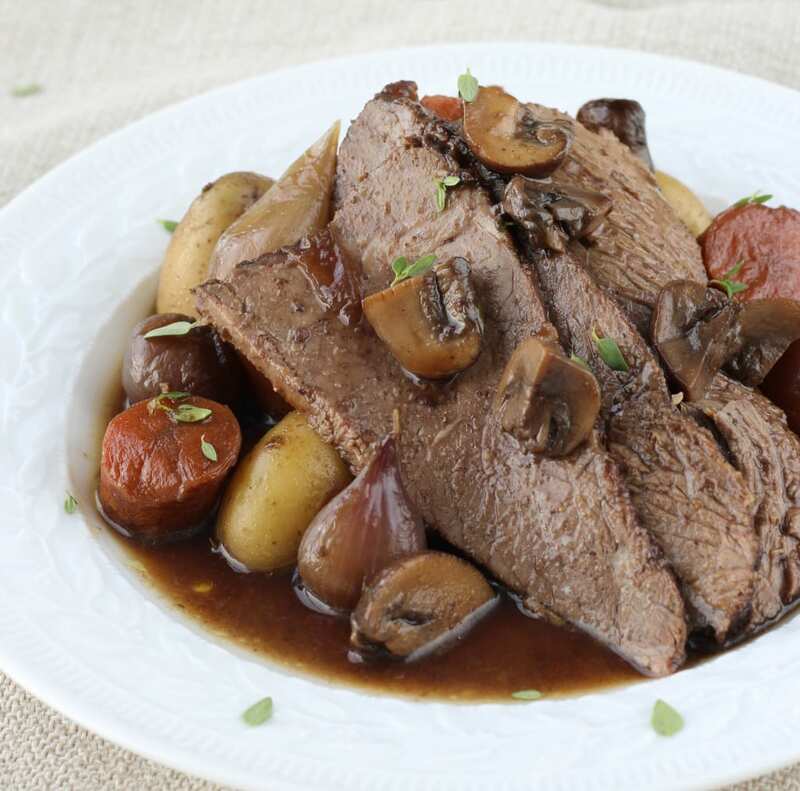 This is no ordinary pot roast. This is pot roast that is worth getting excited about. 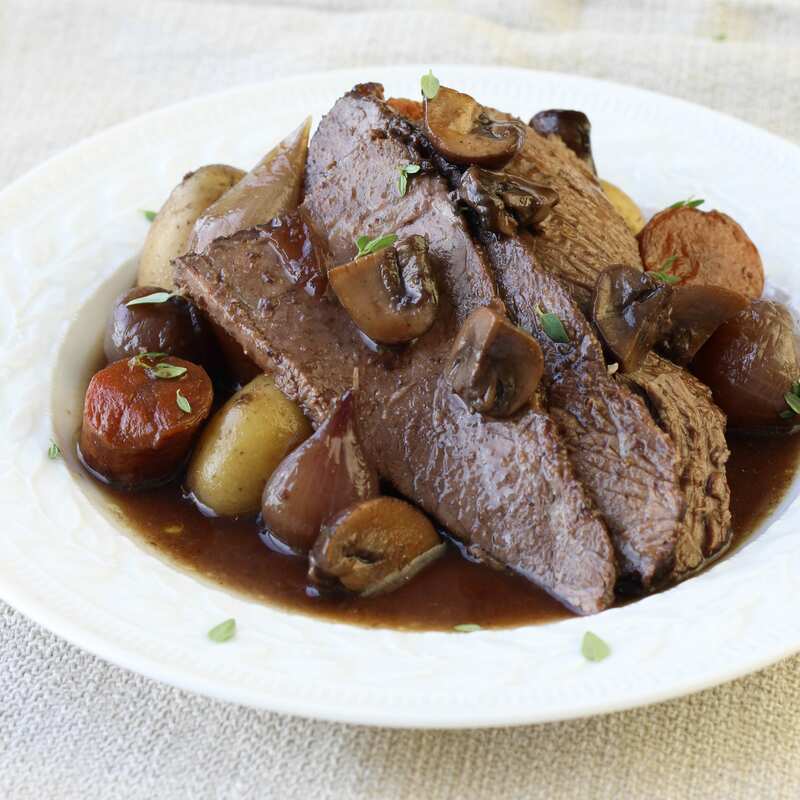 The roast is tender and flavorful and the sauce is deep, rich and complex. Thanks in no small part to my homemade beef stock and a flavorful, full-bodied, but not too expensive cabernet sauvignon. I had pot roast one time at a friend’s house when I was around 10 years old and it was like eating dust. Thus the mention of this dish conjures up images of dull, nondescript meat that should be tender but so often turns out tough. Because of this early scaring experience, I have avoided pot roast like those antibiotic-resistant flu viruses. 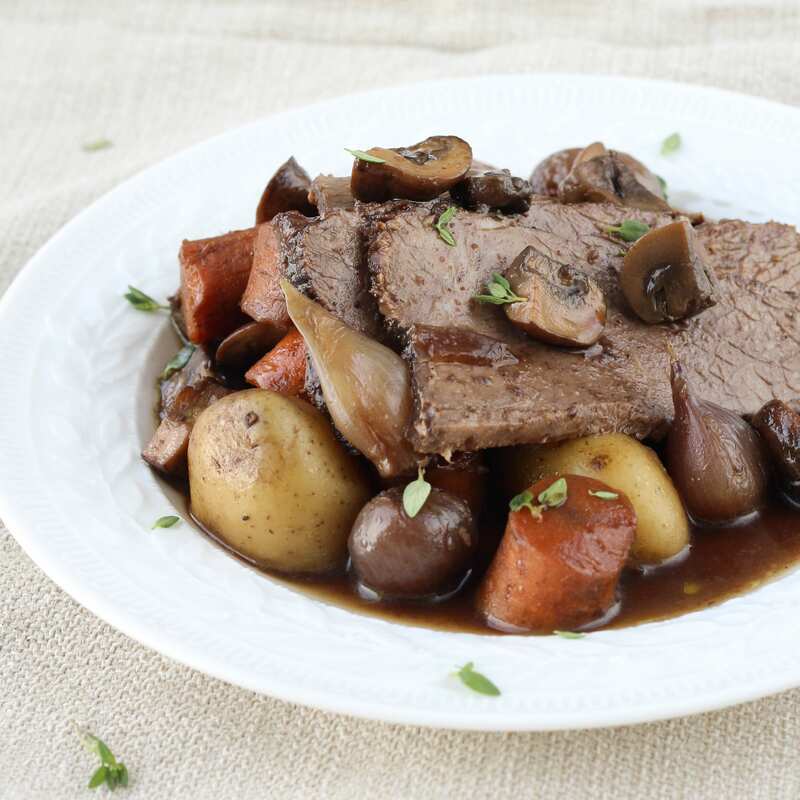 I don’t know what changed my tune, but I’m so glad I did because this braised roast is sensational! It’s perfectly tender and the vegetables cooked in the braising liquid are to die for. I usually reserve that designation for desserts, but I LOVED these vegetables. That is the only change I would make: use a bigger Dutch oven so more vegetables will fit. Carrots, pearl onions, potatoes, mushrooms!! Mmmmm. This is one of the (many) reasons that I love cooking. 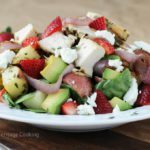 Finding dishes that are not only ridiculously easy but also scintillating to the taste buds! Peeling Pearl Onions can try even a kindergarten teacher’s patience, but they really add so much flavor and texture to this dish, so I strongly suggest that you blanch them prior to peeling. 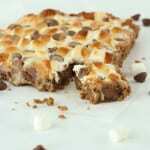 I’ve included instructions in the recipe because its so simply and will only add a few extra minutes. 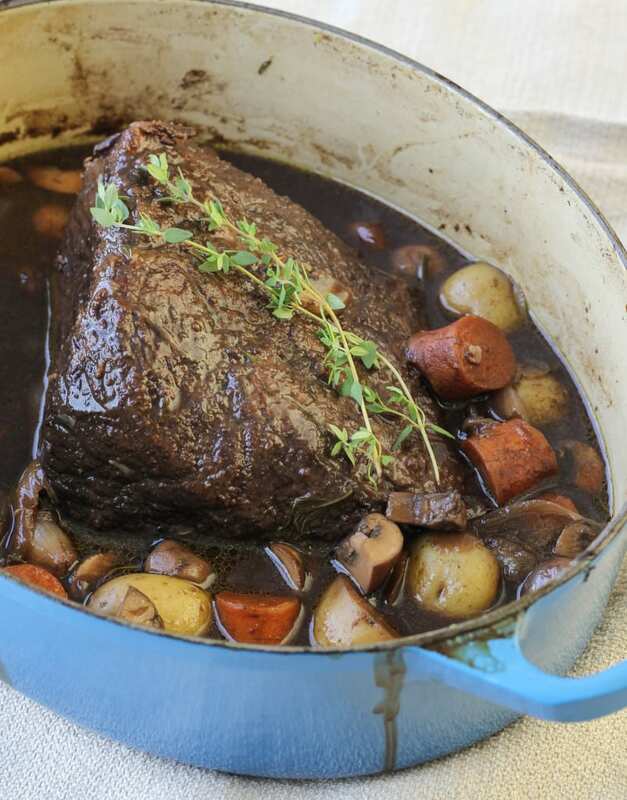 On a side note: I’m not sure what exactly is classy about this pot roast but instead of typing “Classic” I accidentally typed “Classy” and it just seemed to fit. 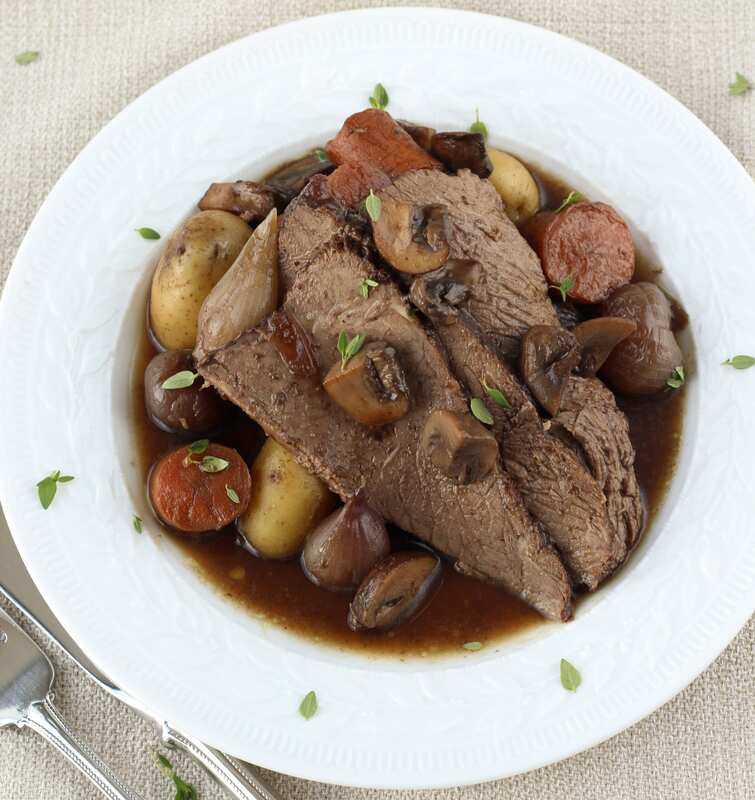 This is no ordinary pot roast! 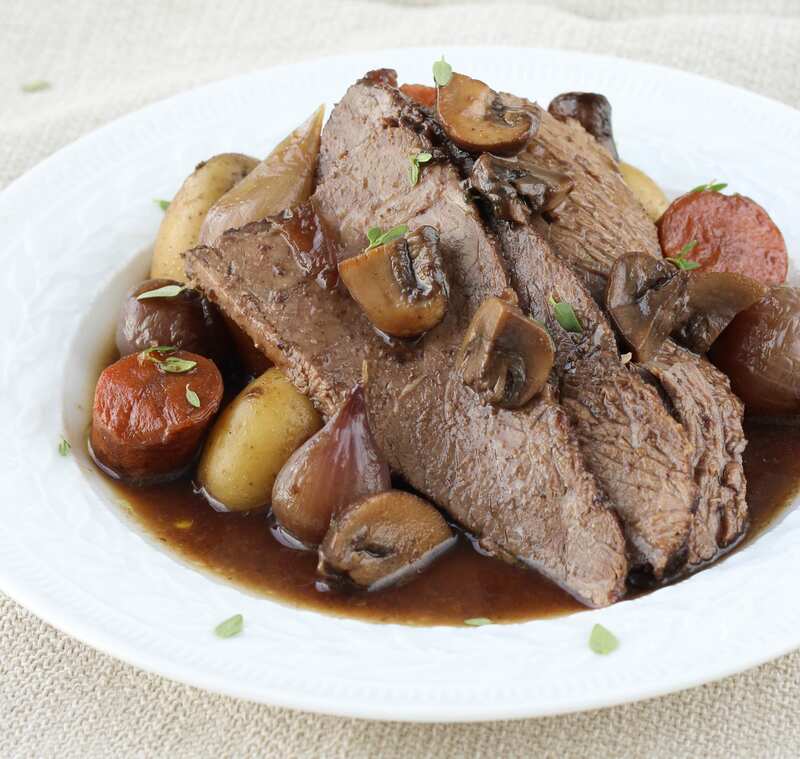 This Pot Roast is tender and the sauce is deep, rich and complex. Easy enough for weeknights but also fancy enough for company! Preheat the oven to 325°. Whisk together flour and pepper. Pat your roast with paper towels to make sure its dry [bonus points if it’s a room temperature!]. Sprinkle with flour/pepper mixture, rubbing it to evenly coat. Heat a Dutch oven over medium heat until it is hot. Add the butter an olive oil to the pot and stir until butter is melted. Brown the roast on all 4 sides. Add onions, garlic, carrots, potatoes, and herbs to the pot. Pour in wine and beef broth and bring to a boil. Cover and bake in preheated oven for 3 hours, turning the roast after 1 ½ hours. About 10 minutes before the roast is done, sauté the mushrooms in 1 tablespoon olive oil in an oven safe pan until they are browned. Remove from heat and set aside. Remove Dutch oven from oven and turn the oven off. Transfer the meat and vegetables to the pan with the mushrooms; tent with foil; and place in the oven to rest. Place the Dutch oven over medium-high heat and boil until reduced by half. In a small bowl combine cornstarch with several tablespoons of braising liquid (you don’t need to be precise here), whisking until cornstarch is dissolved. Add the cornstarch mixture to the Dutch oven and continue to cook until sauce has thickened to your liking. 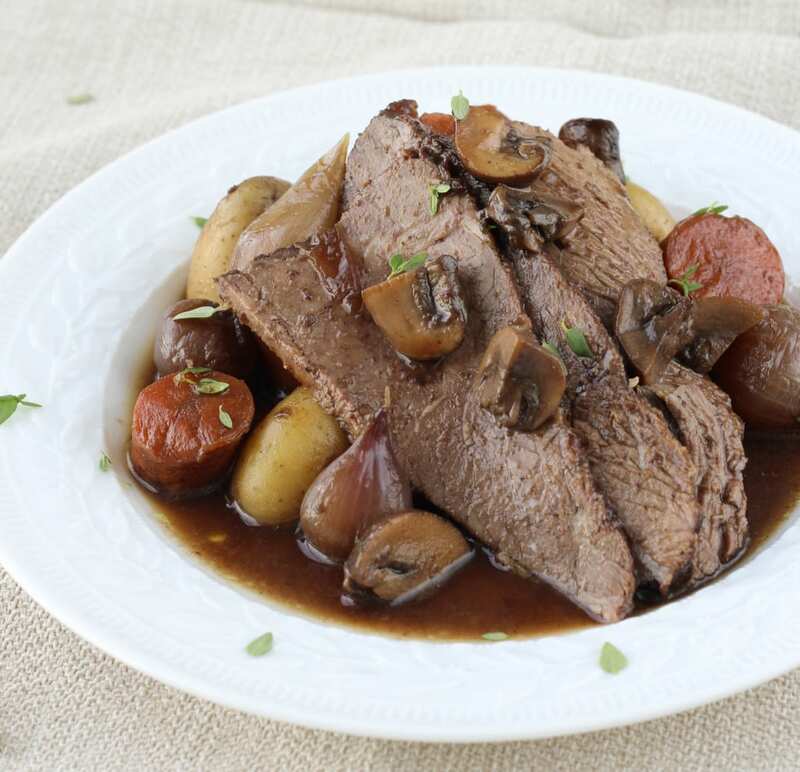 Slice roast and serve with sauce and vegetables! Peeling pearl onions: Bring a pot of water to a boil and fill a medium mixing bowl with ice water. Cut off the root end of each onion and mark it with an “X”. Be sure to keep as much onion as possible while doing this. Boil the onions for 1 minute and then immediately drop in the ice water. They should now be super easy to peel! 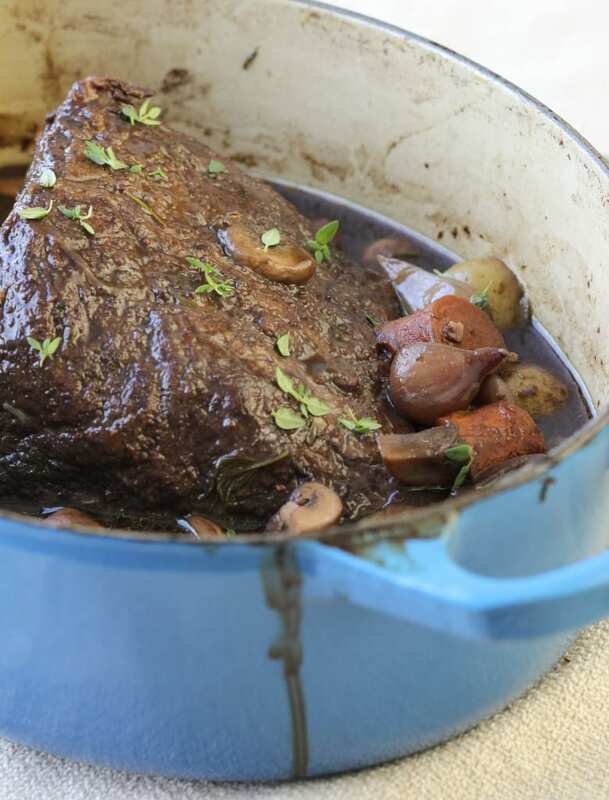 You can make this dish as written in a 5 to 7 quart Dutch Oven, but I really recommend making it in a larger one so that more vegetables will fit. The 5 quart will be tight. I love everything in this dish. I haven’t tasted yours, but I can imagine it being so deep in flavor, especially since you made it with that lovely stock. I can totally relate to trying something for the first time and not have it be good (or even edible)..and that makes you never want to try that dish again. For me, it was with fish taco lol. When I had it as a kid, I remember it being really fishy tasting and just gross. So whenever someone asked if I wanted fish tacos, I was like Ewwww. I didn’t have them again until my adult years and fortunately, the first one I tried since that last one, was actually tasty. So I like fish tacos now. BTW I’ve been noticing that thing that pops up below in the comment section that shows the commenters’ latest blog posts? Is that something you installed? Pretty interesting! Yeah, this pot roast was amazing. It was one of those (very few) dishes that we didn’t mind eating the leftovers for a week! And then we were both a little sad when it was gone. CommentLuv is a plugin that will link back to the commenter’s most recent posts. I’m not sure what other platforms the plugin supports but I have a self-hosted WordPress site. I figured I loved other blogs that had it, so why not see if I could install it on mine! I am going to try this one soon. 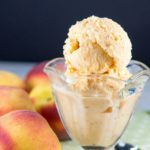 Even a Weight Watcher could enjoy it! I’m so glad! Let me know when you try it! I’ve got some other weight watcher friendly dinners coming up soonish. Obviously not today’s post! My husband would love this dish! He is such a meat lover! You should definitely try it, Julia! I know he’ll love it (what’s not to love?)! SO PERFECT! 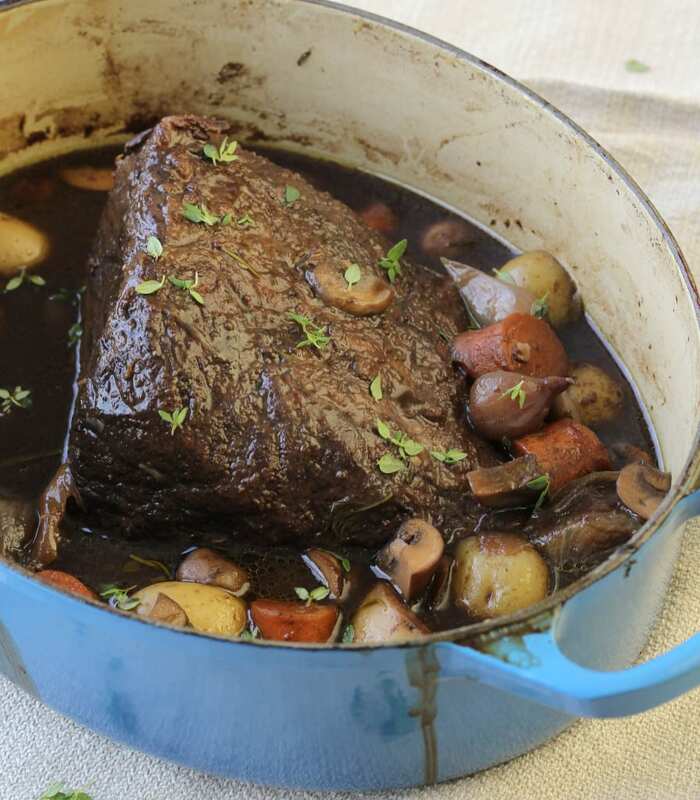 I am in awe at your mad pot roast making skills! While I would love to take all that credit, I can’t because its so easy to make! Meat not tender enough? Cook it longer! How easy is that? this is a lot like a standard french pot roast or a belgian carbonade. i love those kind of dishes! adding any of the following: mustard/ apple sauce / dried prunes / olives etc are my favourite add ins! All of those add-ins sound amazing! I’ll definitely try them out next time I make it! Thanks for stopping by, Lisa!